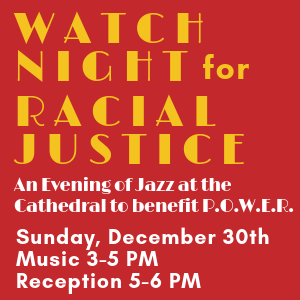 On Sunday, December 30th, the Philadelphia Episcopal Cathedral will host its second annual New Year’s event Watch Night for Racial Justice – An Evening of Jazz at the Cathedral. A family-friendly event, music starts at 3 pm at the Cathedral with two hours of musical sets by leading area musicians. 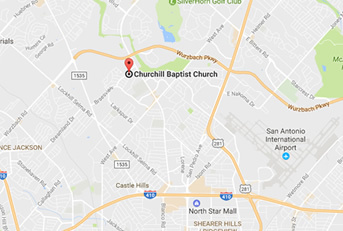 In-between sets, local interfaith leaders will offer prayers for racial justice in the new year and POWER members will share information about current POWER initiatives. There will be a light reception 5-6 with opportunities for guests to meet the musicians and talk with POWER about justice initiatives going into the new year. The event celebrates the tradition of “Watch Night” which began on New Year’s Eve 1862 in black churches throughout the nation awaiting the announcement of the Emancipation Proclamation on January 1, 1863. This event is also a fund-raiser for the work of the interfaith organization POWER (Philadelphians Organized to Witness, Empower & Rebuild - www.powerinterfaith.org). POWER represents a broad range of Catholic, Protestant, Jewish, and Muslim congregations in the greater Philadelphia area in focused five-part organizing platform lobbying for systemic change in the areas of Jobs, Education, Housing, Public Safety, and Healthcare. The event will also benefit the Cathedral Table ministries distributing food, clothing, and social services to people in need in West Philadelphia.